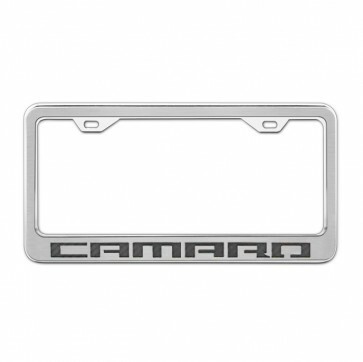 Heavy duty chrome-plated license plate frame features a brushed stainless steel overlay with a carbon fiber inlay. Will not tarnish, fade or rust. Easy "bolt-on" installation. Mounting hardware and decorative chrome screw covers included. Made in the USA. 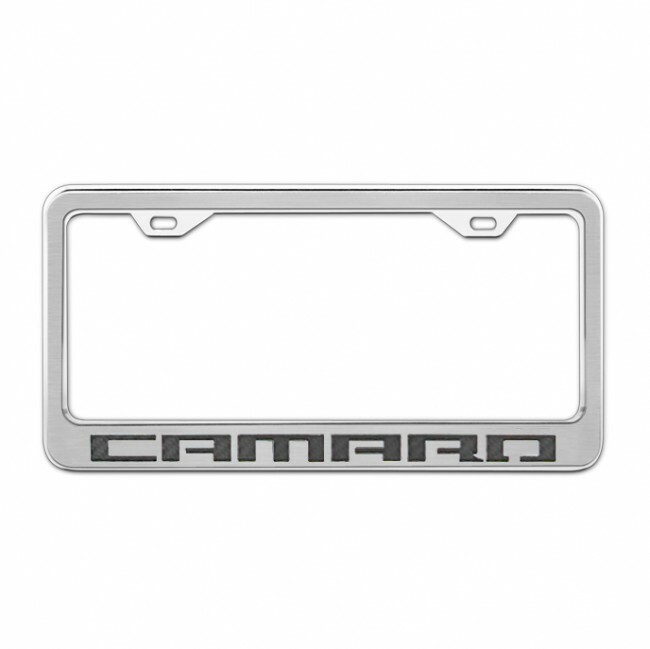 Heavy duty chrome-plated license plate frame features a brushed stainless steel overlay with a carbon fiber inlay. Will not tarnish, fade or rust. Easy "bolt-on" installation. Mounting hardware and decorative chrome screw covers included. Fits all 2010 to Present Camaro coupes and convertibles. Made in the USA.